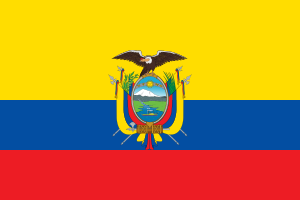 The national flag of Ecuador was created in September 1860. It has three horizontal bands in light yellow, blue and red. In the center it features an eagle over the Seal of Ecuador. This page was last changed on 10 March 2015, at 03:18.